On May 28, Ministry of Foreign Affairs of Latvia sent a commendation letter to Confucius Institute Headquarters and Confucius Institute at University of Latvia to express their appreciation to Confucius Institute at University of Latvia as well as its Latvian-side and Chinese-side director’s important contributions to the dissemination of Chinese language and culture, also to the promotion of China-Latvia relations. The commendation letter says that the stable and constructive development of the relations between Latvia and China has shown remarkable characteristics, namely, to launch active political dialogue, to strengthen high-level exchanges of visits, and to promote cooperation in various fields, such as education and culture. 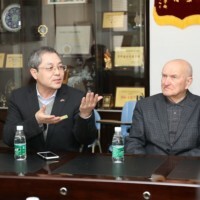 The Latvian-side director Prof. Pildegovics and Chinese-side director Prof. Shang Quanyu of Confucius Institute at University of Latvia have made important contributions to this process. 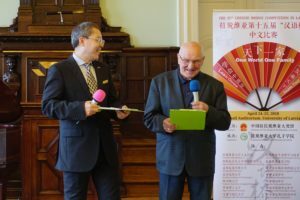 Over the past four years, Chinese teaching sites spread all over Latvia, and their number has increased from 4 to 16, of which the number of Confucius Classroom has increased from 1 to 4. 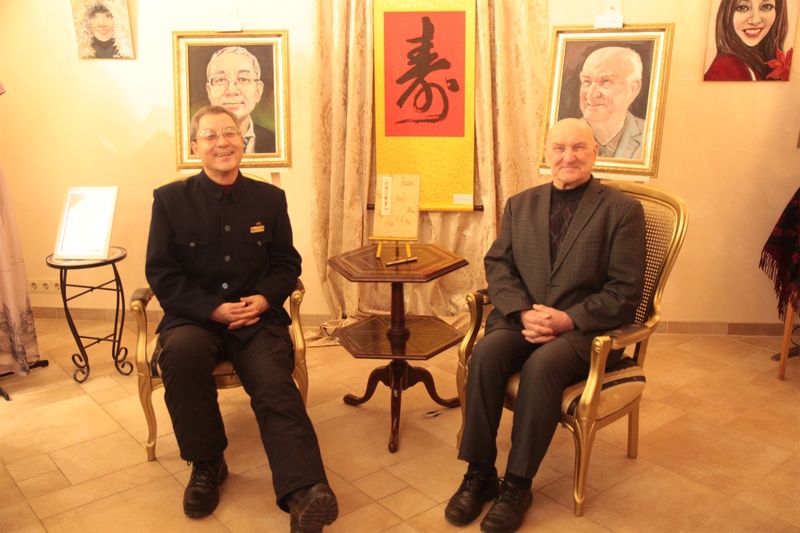 With the unremitting efforts of the two directors, the Confucius Institute has not only became an important platform for Latvians to learn Chinese language, but also a window for Latvians to understand ancient and modern China, therefore made important contributions to promoting people-to-people exchanges and bilateral relations. For this reason, Latvia’s foreign ministry expresses appreciation and support to the increase of status of Confucius institute at University of Latvia. In the office of Confucius Institute at University of Latvia, one will see two amiable directors, affectionately called as “Bei Yeye” and “Shang Dada”, sitting next to each other. 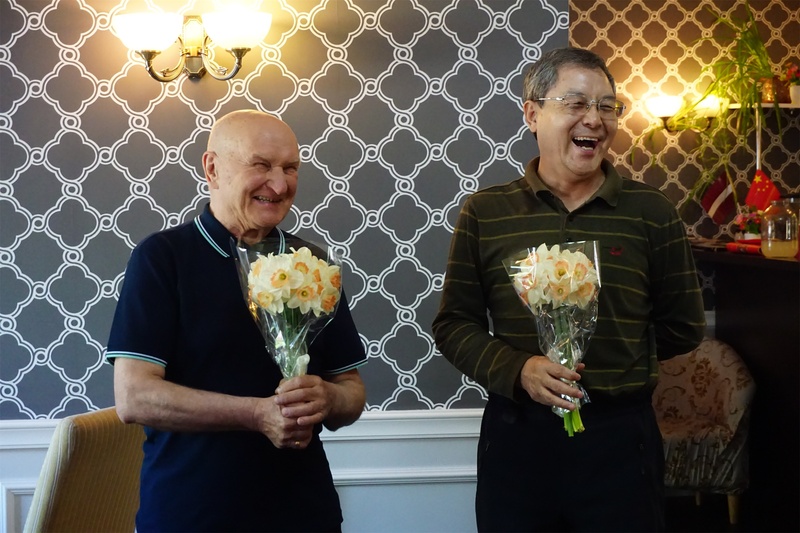 The two directors, born in 1938 and 1961 respectively, has developed a deep friendship and written an eulogy of close cooperation, which can be regarded as a role-model of international cooperation between Chinese and overseas directors. 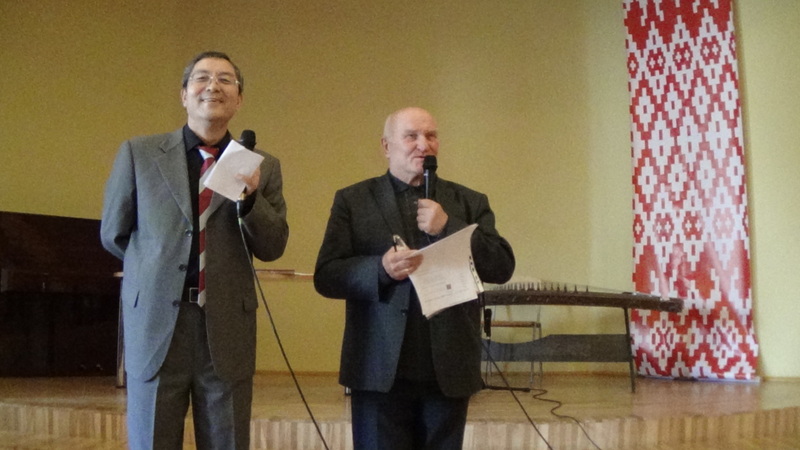 The two directors are infatuated in promoting and spreading Chinese language and culture. 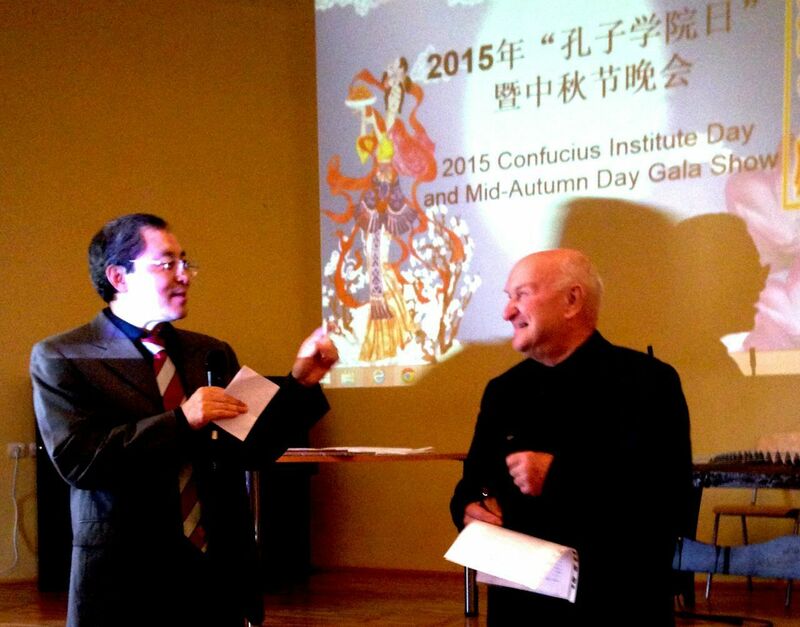 They have a keen passion for and devote themselves to the work of the Confucius Institute. 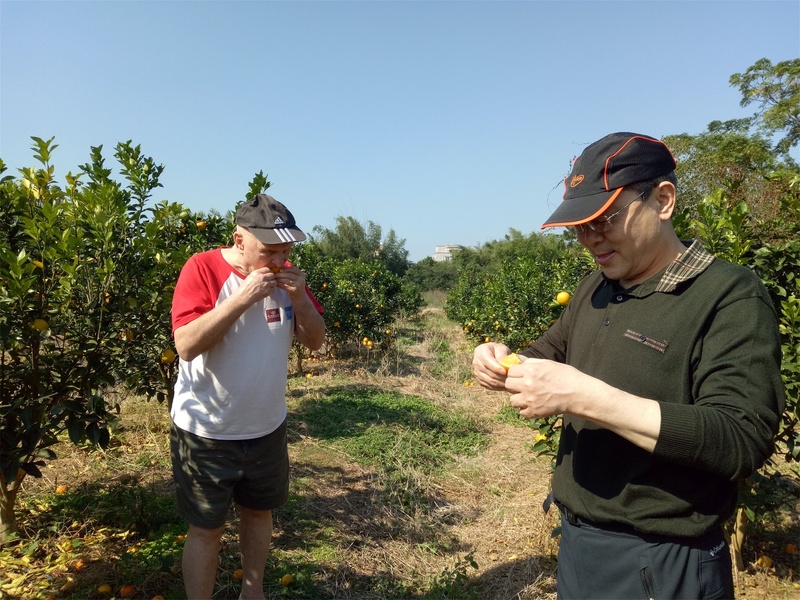 In their daily work, they both work in close cooperation, treat each other frankly and sincerely. The Confucius Institute Office is not only their work place but also their warm home. “Confucius Institute Office is the best place in the world where we have the most reliable comrades, we trust each other, cooperate with each other and work together to deal with everything.” said Prof. Pildegovics. 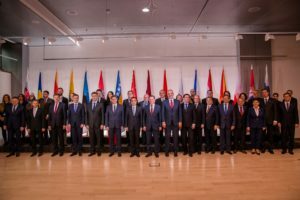 Recalling the summer of 2016 when the two directors worked overtime on weekends even skipping sleep and meals in order to publish Latvian-Chinese and Chinese-Latvian Dictionary prior to Premier Li Keqiang’s arrival in Riga for the fifth “16+1” summit of heads of government, the two directors said “We still can recall the scene when we proofread the dictionary with Yu Libin from Commercial Press and Zhou Hongyou from the Foreign Ministry through WeChat. It was a busy but happy time, even we did not have time to go to the toilet.” The two directors witnessed and shared every moment of happiness in the office of the Confucius Institute, such as drafting Prof. Pildegovics’ speech for “The 10th Chinese Book Special Award” ceremony in the Great Hall of the People in Beijing, Prof. Pildegovics’ remark for giving dictionary to Premier Li Keqiang, the application form of Excellent individual award of Confucius Institutes, etc. The two directors are open-minded, modest, courteous, humorous, and like parents to the staff of the Confucius Institute. They create a warm and harmonious family atmosphere for all. 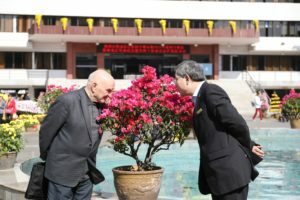 In the witty words of the two directors, they are “two old revolutionary cadres, leading a group of vibrant youth, walking along the broad road of promoting and spreading Chinese culture”. In the words of the Chinese volunteer teachers, Bei Yeye and Shang Dada are their most respected and lovable parents, while Confucius Institute is their warm home and harbor. 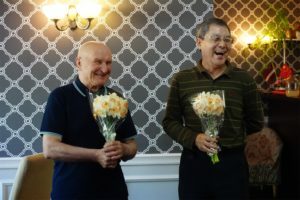 Not only do the two directors always care about the Chinese volunteer teachers in Riga, but they also care about those who are hundreds of miles away from Riga, who are affectionately called “the Beyond Riga Princesses”. The directors’ eyes flashed with tears every time the princesses left Riga. Every year, the directors go to different teaching sites to visit volunteers. You will see two accompanying and inseparable figures in every Confucius Institute activities. 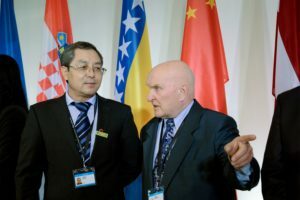 The two directors are companies and take care with each other when participating in activities, for instance, the annual global Confucius Institute Conference, the Central and Eastern Europe Confucius Institute Joint Conference (Nordic-Baltic Countries Confucius Institute Conference), the Board Meeting of Confucius Institute at University of Latvia, and so on. Prof. Shang recalls his trip to Kunming in 2016 for the 11th Confucius Institute Conference with teary-eye, “At that time, I could not walk with pain in my knees. I was unable to walk except with a double crutch. I applied for a wheelchair at the airport. Prof. Pildegovics walked beside me carrying my two crutches along the way while airport staff pushed me with a wheelchair.” At Confucius Institute’s annual activities, such as Spring Festival Gala Show, Lantern Festival Show, Mid-Autumn Festival Show, Confucius Institute Day, opening ceremony, graduation ceremony and all the other activities, the two directors always deliver speech in two different languages but with the same text, which has become the tradition of Confucius Institute at University of Latvia .“The two directors have sent a friendly message of harmonious thinking and concerted action between the two sides of Confucius Institute at University of Latvia through their same text speech in two different languages.” said Chinese Counsellor Li Tao, on Lantern Festival in 2017. Admittedly, the development and expansion of Confucius Institutes could neither be done without the joint effort from Confucius Institute Headquarters, cooperative universities from China and Latvia, all members of Confucius Institute at University of Latvia, nor the close sincere cooperation of the two directors. The directors have left us with an immortal legend of sincere cooperation between China and overseas countries. 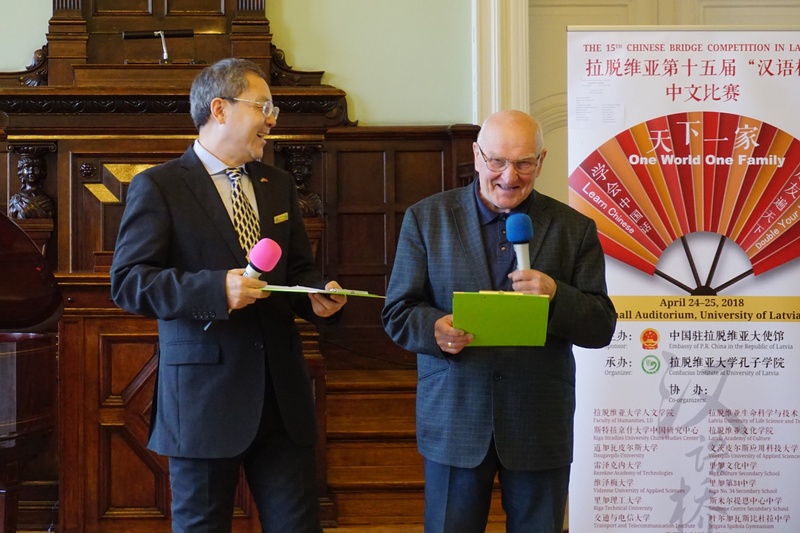 Over the past four years, Chinese teaching sites spread all over Latvia, and their number has increased from 4 to 16, of which the number of Confucius Classroom has increased from 1 to 4. The flower of Chinese language and culture is quietly blooming in Latvia, this Belt and Road’s alongside country. The Confucius Institute not only becomes an important platform for Latvians to learn Chinese, but also a bridge for spreading Chinese culture, a window for understanding China, a link ties for non-governmental contacts, and a bright spot along the Belt and Road. 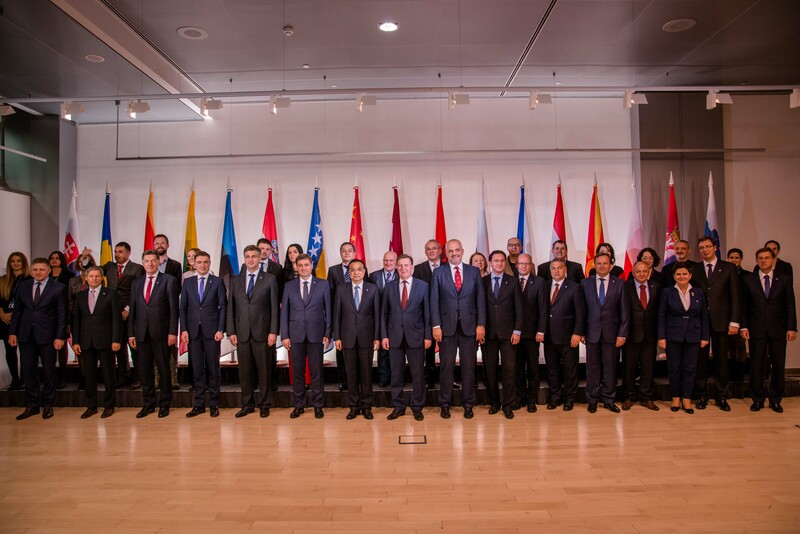 It has made important contributions to promoting people-to-people exchanges, cultural exchanges and friendship between China and Latvia.